Hi everyone! Happy Thursday. 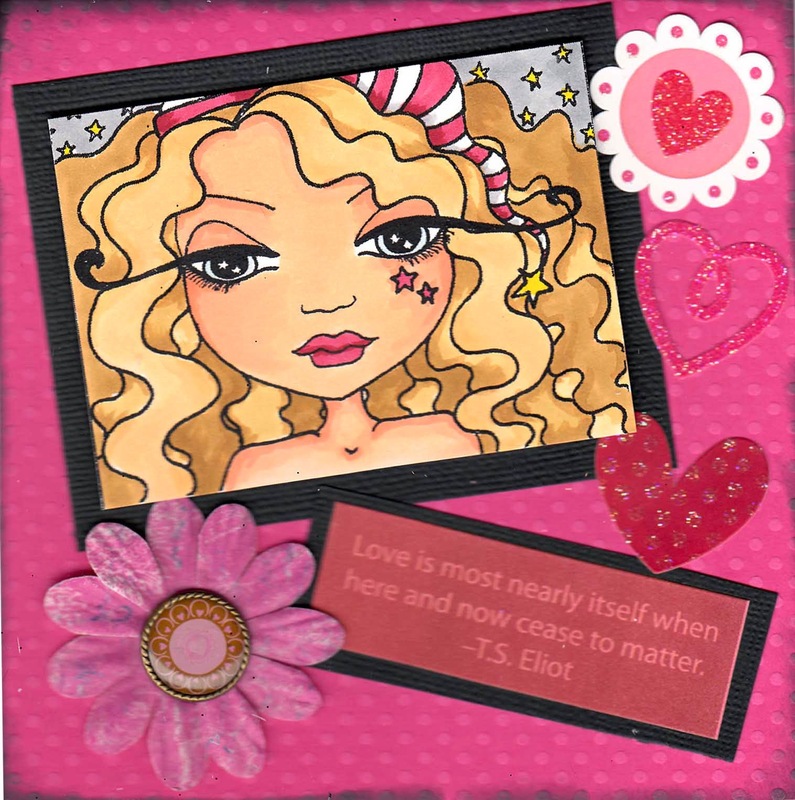 I am excited to be showing a brand new stamp today from Queen Kat. This fun image is from artist Maigan Lynn and is called Dream a Little Dream. Isn't she gorgeous? I love this stamp. Her images are well know for their big eyelashes and she also has a bunch of wonderful mermaids. I added a T.S. Eliot sentiment to this card "Love is most nearly itself when here and now crease to matter." I can imagine a lover looking into this maiden's eyes and thinking of nothing more than her. Be sure and check out all the amazing images from Maigan Lynn at the Queen Kat store this week! Awesome colors on this one! This is delightful. Love the fresh colouring. Snow Friends by Sandra Caldwell! A bit of a Teaser!